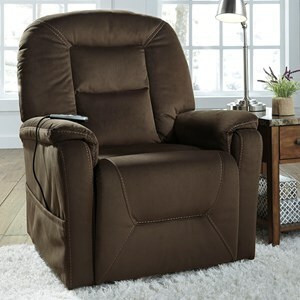 The 14 and 15 Series Standard Petite Lift Recliner by Med-Lift & Mobility at Olinde's Furniture in the Baton Rouge and Lafayette, Louisiana area. Product availability may vary. Contact us for the most current availability on this product. Frame Construction Med-Lift uses uses solid Oak for their frames. Every joint is glued and stapled. Our seat and back frame is a one-piece C&C Routed design. Our Uni-Construction seat/back assembly is the strongest available in any lift chair. Padding & Ergonomics Acella Flex foam seating configuration and Uni-Construction seat and back frame design. Warranty The 14 Series and 15 Series models come standard with LIFETIME WARRANTY on the hardwood frame, steel lift mechanism and scissors hardware, four (4) year parts on all other components. With this Med-Lift chair you will find the perfect lift chair style and technology to complement the mobility you are seeking. 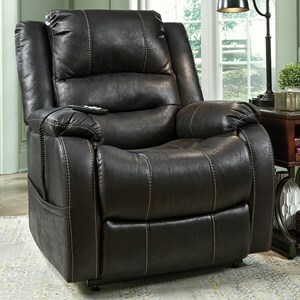 Designed to accommodate petite individuals and engineered to provide years of carefree operations. 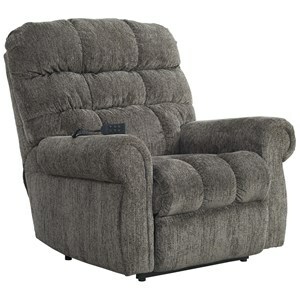 One simple touch of the finger tip control and power-lift mechanism gently and quietly moves you to a standing, seating or reclined position, as well as intermediate modes. The 14 and 15 Series collection is a great option if you are looking for Traditional furniture in the Baton Rouge and Lafayette, Louisiana area. Browse other items in the 14 and 15 Series collection from Olinde's Furniture in the Baton Rouge and Lafayette, Louisiana area.